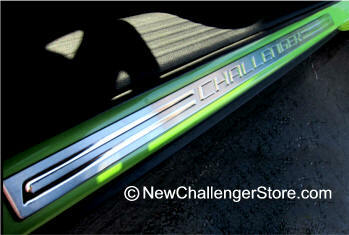 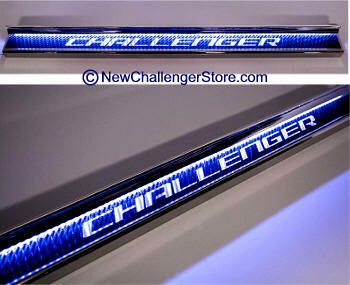 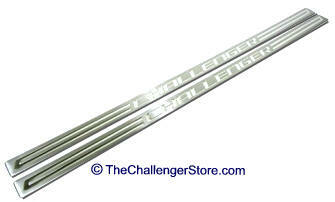 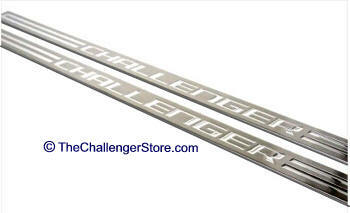 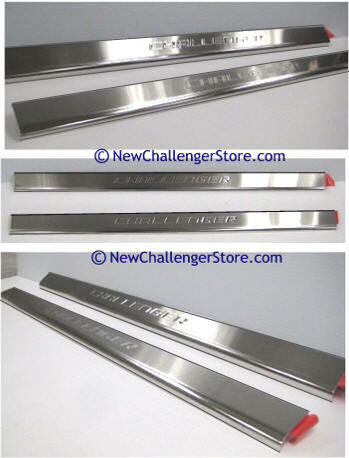 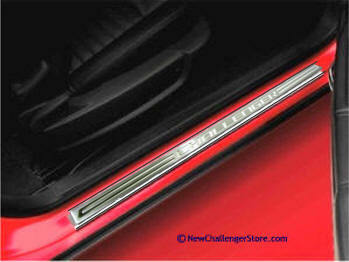 Aluminum door sill Guards with Challenger Logo stamped into sill plate. 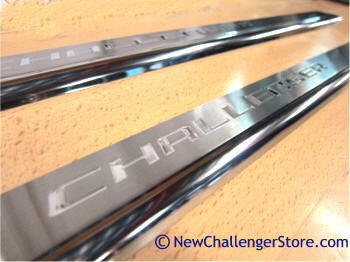 Brushed finish with polished logo. 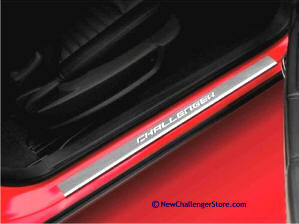 Add Color vinyl emblem letters to inset in indented logo. 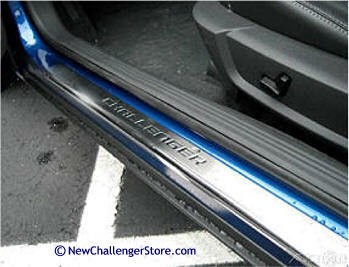 Peel and stick on "indented" door sill logo. 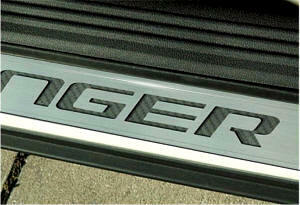 Super High Quality all Stainless Steel Door Sills with cutouts and simulated carbon fiber inside gives a great dimensional look. 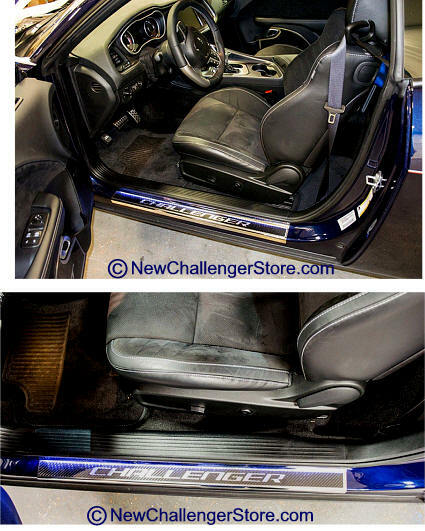 Very professional a premium upgrade. 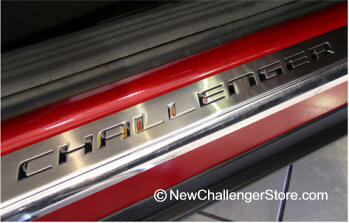 Will never rust or corrode. 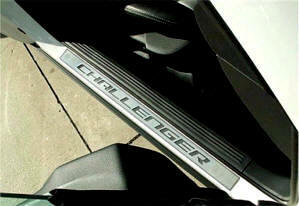 Will always maintain its luster. 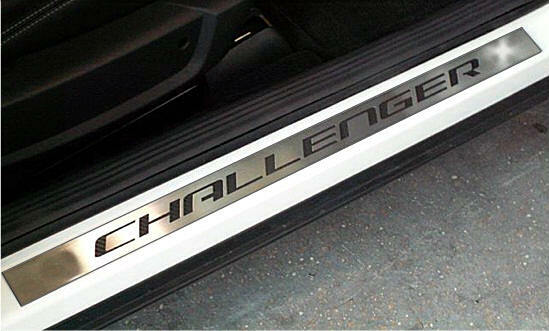 Your Dodge Challenger is missing something. 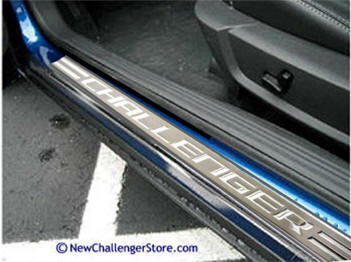 That something is our 2 piece, high quality, custom door sills. 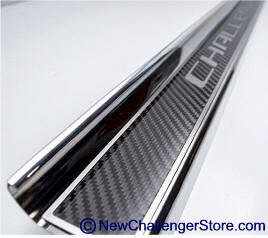 Each of our door sills is cut from carbon fiber/fiberglass and 304 stainless steel. 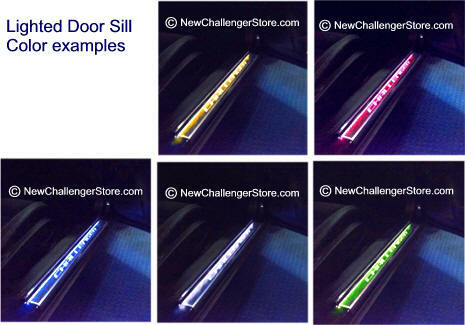 We give you the option to customize your door sills even further by letting you add LED lighting. 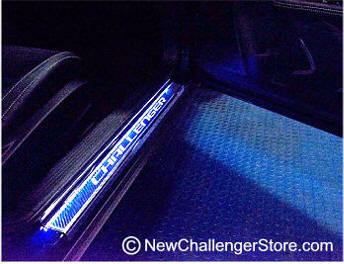 We think you'll agree it adds a stunning degree of light and color by selecting this option.